Protect contents during storage and transport with this convenient Lakeside 6539 stainless steel enclosed bun pan rack with universal ledges! Made from durable, welded stainless steel, this bun pan rack can hold up to 11 full size pans or 22 half size pans of different 20" x 22", 18" x 26", or 14" x 18" sizes. The universal ledges are removable and height-adjustable, so you can customize the placement of the ledges to accommodate a variety of pans and meet your needs. 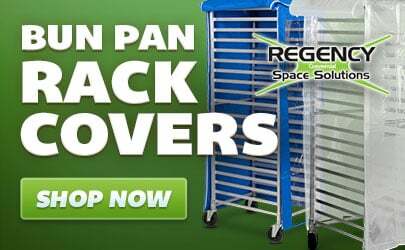 The unibody construction of this bun pan rack keeps the cabinet balanced and stable, while the strong stainless steel frame is built to withstand your frequent transport needs. Plus, you can count on sanitary storage since this rack is enclosed to protect your food and pans from dust, dirt, and other contaminants. 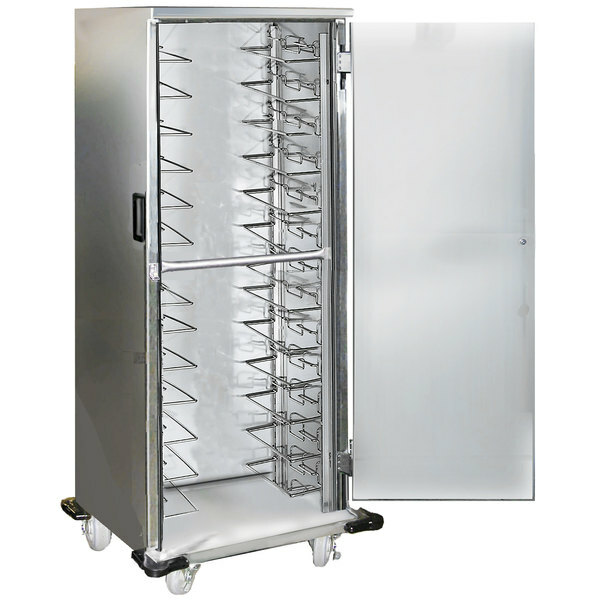 Whether you are storing food or transporting pans from the kitchen to a serving area, the enclosed nature of this rack will keep your food safe. This enclosed unit includes a high density insulated single door with lift-off hinges and recessed handles for easy use. When it's time to transport goods in this rack, you'll be happy to know that it comes with 5" diameter polyurethane casters, including 2 swivel casters and 2 fixed casters.